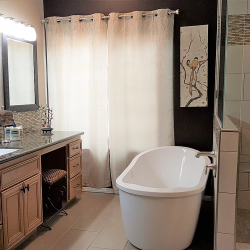 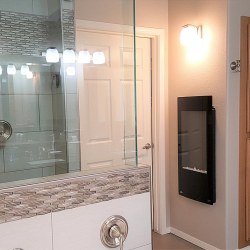 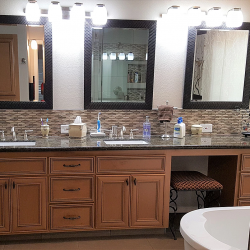 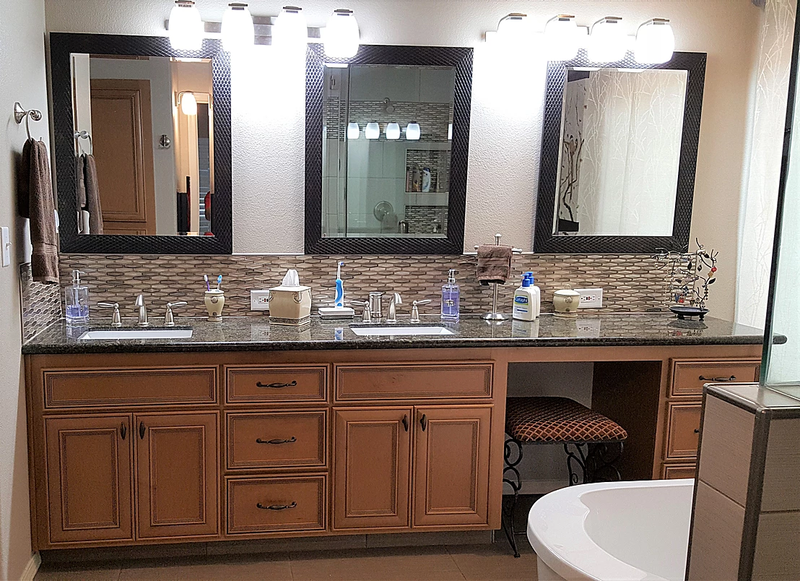 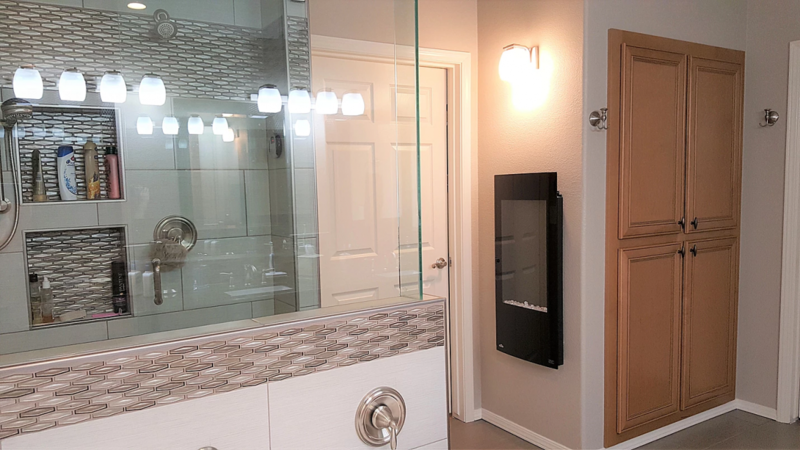 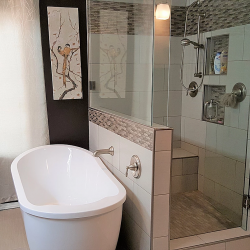 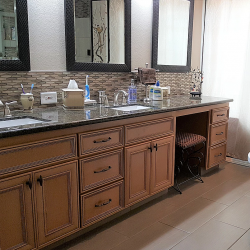 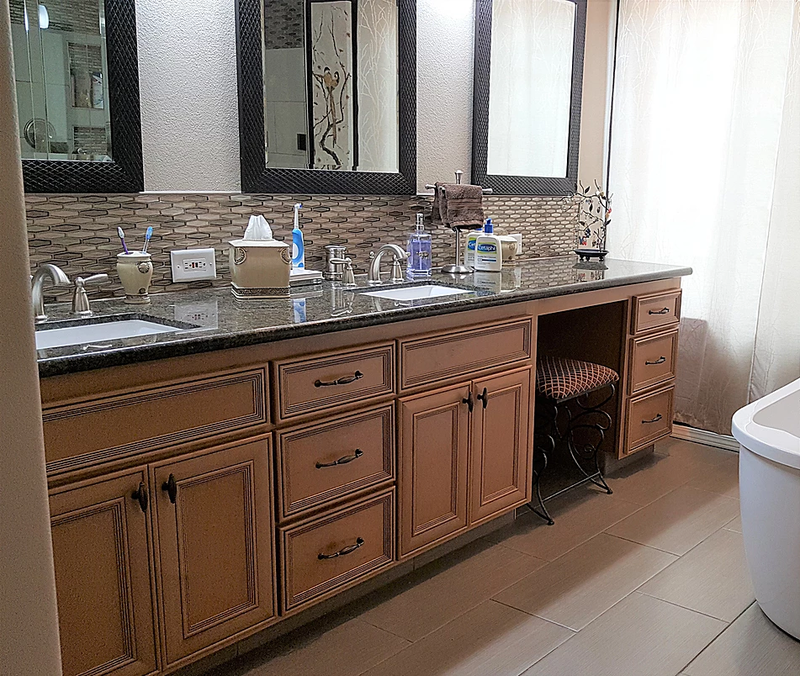 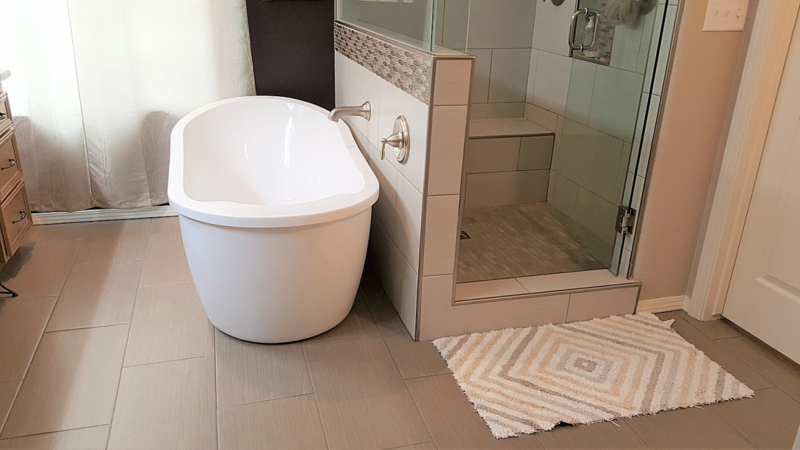 This beautiful bathroom remodel features a custom cabinet with double sinks and a vanity area, granite countertops with undermount sinks, brushed nickel faucets and the same mosaic tile that is used in the shower has been used as the backsplash. 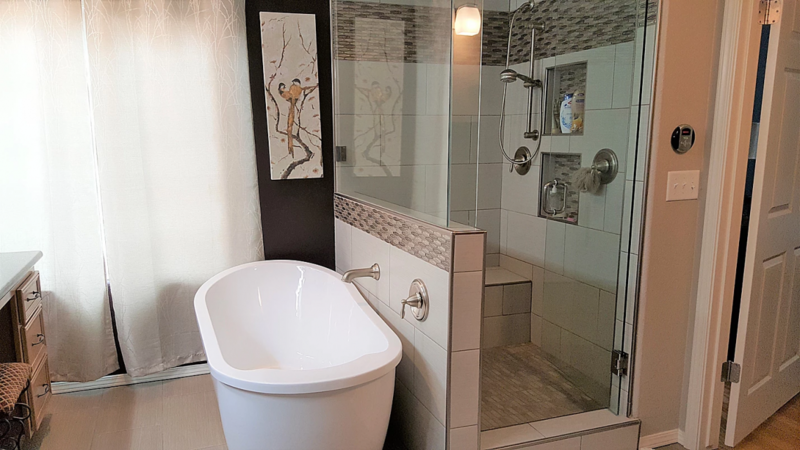 The shower has 12” x 24” shower wall tile with a mosaic band across the top, in the double shampoo niche area and a mosaic tile floor. 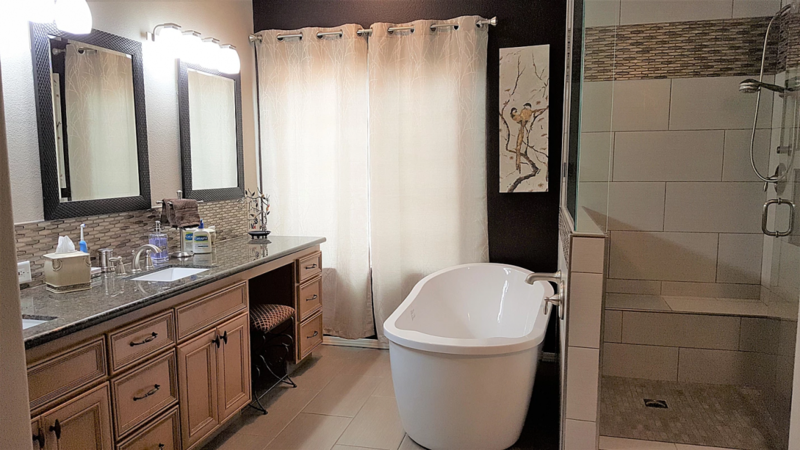 The shower includes Schluter trim and features a freestanding bathtub with a wall mounted faucet. 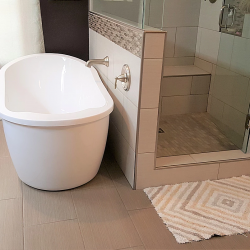 The flooring is 12” x 24” floor tile.